Anche durante queste vacanze, non vi lasceremo soli! Continua la vendita del dopo aste per Artemide XLIV, e vogliamo festeggiare il Natale con voi: per tutti gli ordini di invenduti ricevuti il giorno 25, ridurremo i diritti d'asta al 5% (invece del 18%)*. Vi annunciamo anche una nuova asta numismatica, Artemide 32E, che chiuderà live il 23 gennaio 2016. L'asta presenta, una vasta offerta di monete classiche, con un'interessante nucleo di denari della repubblica romana. Ancora un sincero e sentito augurio di un Sereno Natale dallo staff di Artemide Aste. 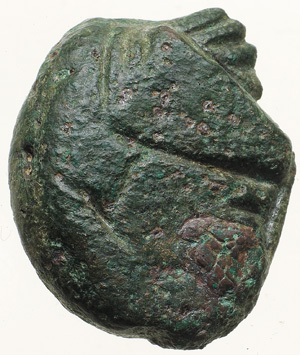 Some of the most interesting, yet least collected items in Roman numismatics are the small objects cast in bronze and traded in barter that we now know as aes formatum. 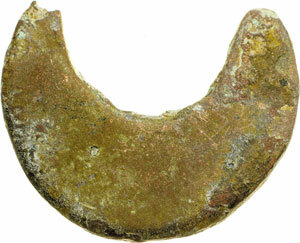 The cast bronze artifacts, often votive in nature, and would quite easily be overlooked as numismatic in origin. 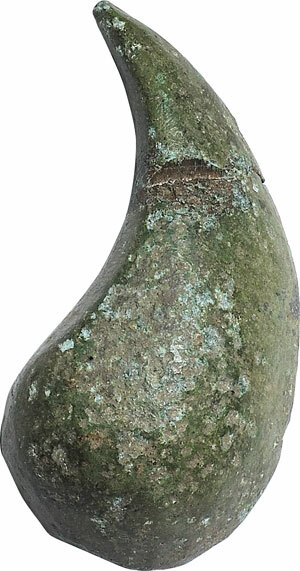 Often they are ornamental objects, quite possibly made for some other application entirely, but due to their intrinsic value for their weight in bronze, they were traded in a monetary fashion, and are today found in hoards alongside objects such as aes grave, aes signatum, aes rude and the ramo secco form of aes signatum. 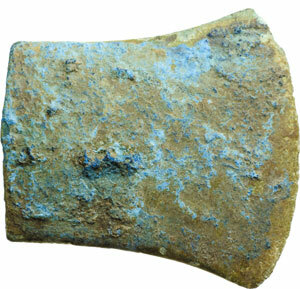 Often found alongside these are ax and hammer heads, along with picks and other tools, either functional or votive in type. 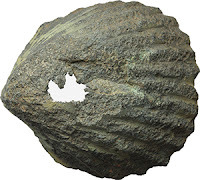 Two bronze shells, likely cast from actual shell impressions. 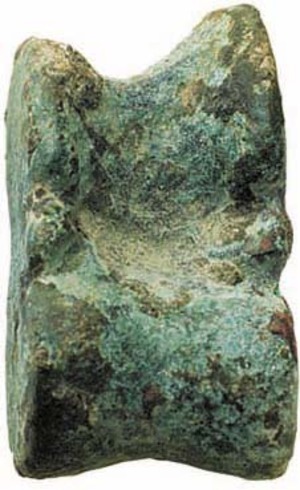 Bronze Astragalos, possibly a gaming piece. 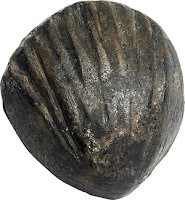 The purpose of this writing is to expose some of the varied objects that have been used in this way, and to make collectors aware that many common looking items are actually also collectible as proto-money. They are universally small, and are not limited to type or variety. 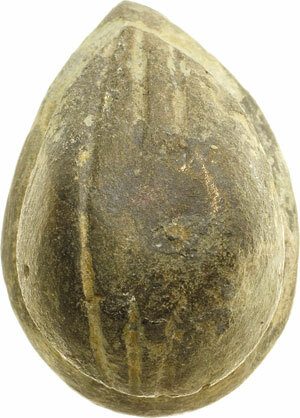 The most well known and written about types are the above shell and astragalos. 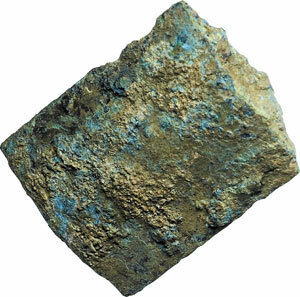 Astragoli were items used as gaming pieces, and were convenient to use as trading pieces. 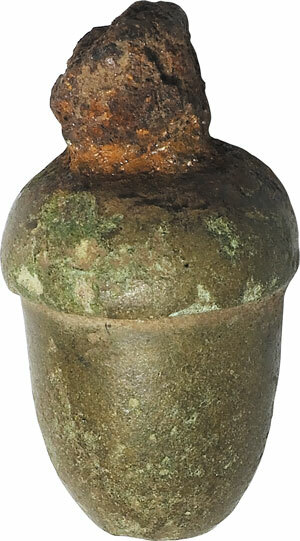 It is quite likely that many items found in hoards were intended for votive donations to local gods, especially the river gods whose favor people implored by tossing these items into rivers, where they are often found today. Frequently, they are found in large numbers, often piled up in a pit, as in a modern wishing well, along the river edge, which is probably the ancient origin of the wishing well. 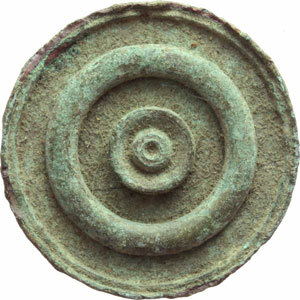 These pits were often used for decades, and items and coins can be found in layers according to date of issue, the oldest being on the bottom, and succeeding issues found in layers above, each layer holding pieces of similar date of maufacture. Concentric disc with annular design, semuncial weight. Grain or nut, possibly cast from life. 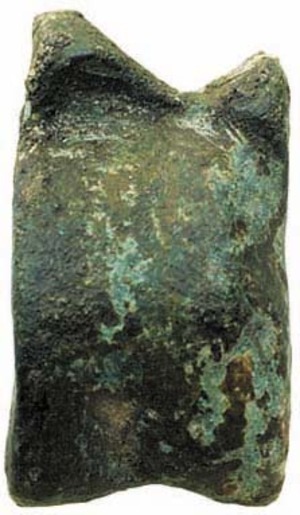 Acorn, whose image is also found on Aes Grave coinage.